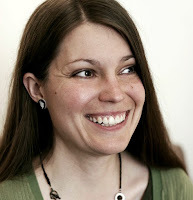 #52Wks52Bks: Week Five Recommendations + #Interview with BECKY CHAMBERS! 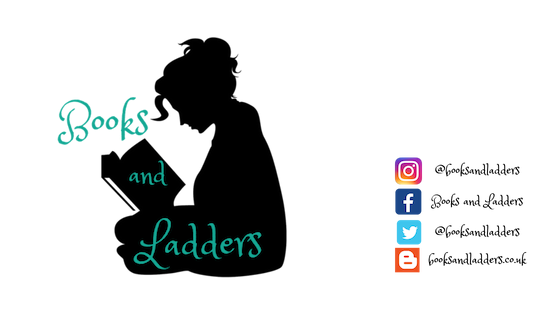 I also have the wonderful Becky Chambers here for an interview so you can learn more about the book I am reading this week! Describe THE LONG WAY TO A SMALL, ANGRY PLANET in 10 words or less. Becky Chambers: A wormhole construction crew goes on a space road trip. Which character from your book would you most like to be friends with? Becky Chambers: That is a really tough call. I’m going to go with Dr. Chef. I just want to garden and eat snacks with him all day. How is writing a sequel different to writing the first book in the series? Becky Chambers: The biggest challenge is figuring out how much worldbuilding stuff to reiterate, and how much to let the reader remember on their own. I was constantly reminding myself that the only reason the lore is obvious to me is because I wrote it, and someone who read the first book a year or more ago will have forgotten things. That was an especially tricky thing to consider, given that A Closed and Common Orbit doesn’t follow the main characters from the first book and can be read as a standalone. I wrote it with the assumption that the reader’s read the first one already, but it had to work on its own as well. In the end, I decided not to repeat myself. I gave a few subtle reminders -- Aeluons don’t move their mouths when they speak, Harmagians use carts to get around, that kind of thing -- but for the most part, I trusted folks to follow along. Becky Chambers: You will always, always, always think your work is terrible when you’re in the middle of getting it done. It doesn’t matter how many book deals you get or how many people tell you they like your stuff. All of us are our own worst critics. I’ve yet to meet an author who isn’t. Becky Chambers: Creatively, I love being able to take something from inside my own head and put it into someone else’s. I think that’s kind of magic. And honestly, one of my favorite things is hearing how people interpret things differently than the way I imagined them. I get such a kick out of that. On the practical side, being my own boss is the best thing in the world. Yes, there are deadlines and whatnot, but for the most part, I’m on my own. I work when I want to work, I don’t have to stress about taking sick days or asking for vacation time, and I don’t have to sit around and look busy when I’m done for the day. It’s totally worth the quarterly taxes. Why do you write Science Fiction novels? Becky Chambers: Because I love real science. And yeah, I’ll be the first to tell you that my stories are not hard science fiction, so that may sound like a funny thing for somebody writing character-driven stuff to say. But science and science fiction have a symbiotic relationship, regardless of whether you’re drawing diagrams or not. It’s hard to find people working in STEM who weren’t inspired by books and TV shows when they were young. So I see myself as kind of a support class for the people who are doing what I view as the real important work. If all you get out of my books is a fun escape, then I’ve done my job, and I’m good with that. There’s value in taking your brain elsewhere for a while. But the hope that my stuff will spark an interest in space and exploration for someone out there is what keeps me working. And that doesn’t mean I want my readers to go for a career in science (though I’d consider that a huge achievement). Just an interest. A spark. I want people to care about space exploration. I want people to see the universe as something we’re a part of, something that belongs to us all equally. I want people to think about how small and fragile and precious our species is, and what we’ll need to prioritize if we want to keep existing. That’s why I write. There was a lot of science involved in your book. What kind of research did you do? Becky Chambers: I grew up in a family that works in science and aerospace, so a lot of it I just absorbed through proximity. My mom’s an astrobiology educator, so she’s usually my first stop when I have questions about whether or not something works the way I’ve written it. I like to keep things plausible, even if they’re unlikely. For The Long Way, I did spend some time in the library reading up on wormholes. The explanation I give in the book on how they work is pretty user-friendly, but I wanted to have a clear understanding of what I was riffing on. That’s true of most of the tech and physics in my books. If you’re going to mess with something, you have to know what you’re messing with. 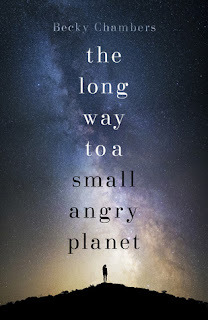 Becky Chambers is the author of the award-nominated science fiction novel The Long Way to a Small, Angry Planet and its stand-alone sequel, A Closed & Common Orbit. She also writes nonfiction essays and short stories, which can be found in various places around the internet. In addition to writing, Becky has a background in performing arts, and grew up in a family heavily involved in space science. Having lived in Scotland and Iceland, she is currently back in her home state of California. She can be found online at otherscribbles.com and @beckysaysrawr. Yesssss. Thank you for this!